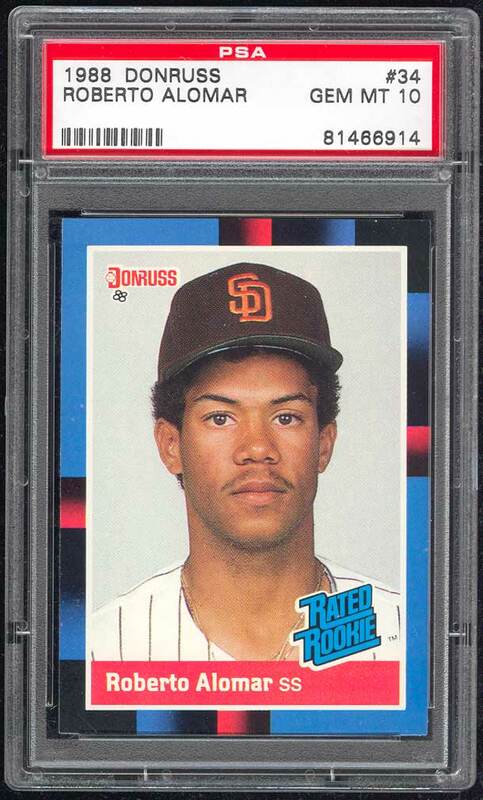 Comments: I purchased a 1988 Donruss PSA 9 on eBay in April, 1999 in anticipation of Alomars future induction. 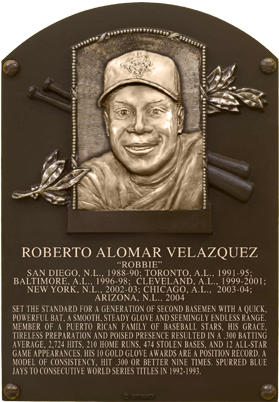 Alomar was one of my favorite ballplayers and I remember watching his spectacular defensive skills on what seemed like every nightly edition of ESPNs Baseball Tonight. 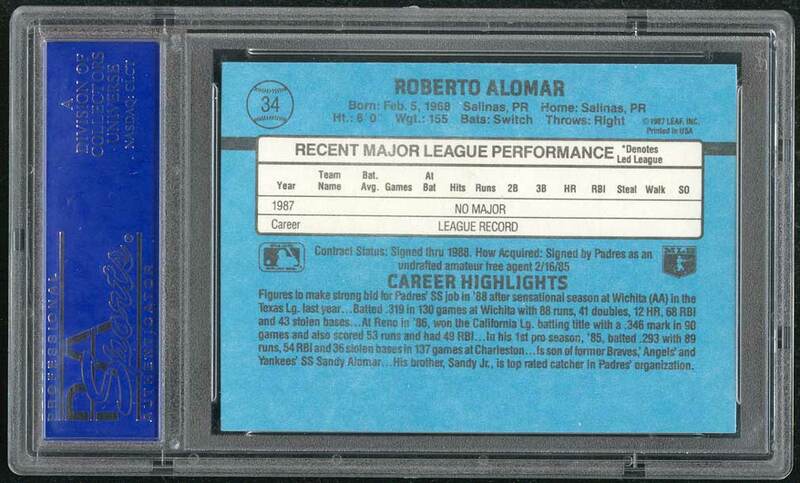 In March, 2006 I upgraded to this PSA 10 after winning another eBay auction from 4 Sharp Corners. Description: The 1988 Donruss set consists of 660 cards, each measuring 2-1/2" X 3-1/2". Fronts feature a full-color photo surrounded by a colorful border - alternating stripes of black, red, black, blue, black, blue, black, red, and black (in that order) - separated by soft-focus edges and airbrushed fades. 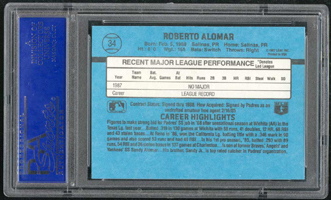 The player's name and position appear in a red band at the bottom of the card. 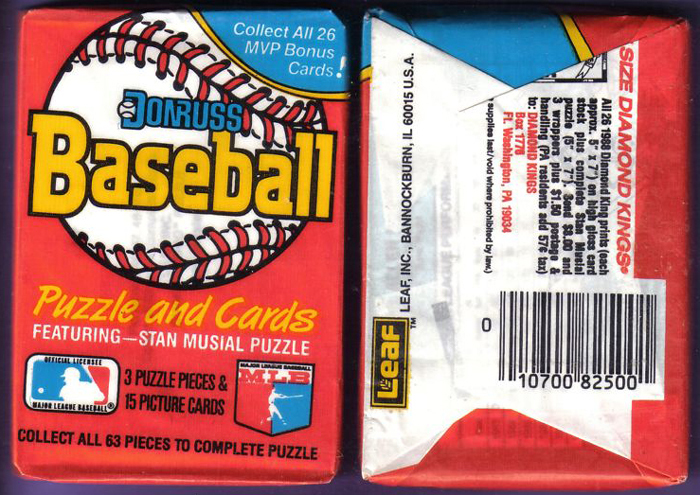 The Donruss logo is situated in the upper-left corner, while the team logo is located in the lower-right. The card backs have black print on blue and white and include statistics, career highlights, and the player's contract status.